SIXTY YEARS AGO, THE PEOPLE OF PLANET GAIA THOUGHT THEY WERE ALONE IN THE UNIVERSE... UNTIL THE NEAR-OMNIPOTENT A.I GENECIA BROUGHT ABOUT THE AWAKENING. PRIVATIZED GOVERNMENTS, CYBERNETICS, GENETIC WIZARDRY AND PSIONIC PHENOMENA RAPIDLY DISRUPT SOCIETY AS FOUNDERS RACE TO BRING THEIR BUSINESSES FROM STARTUP TO MEGACORP. 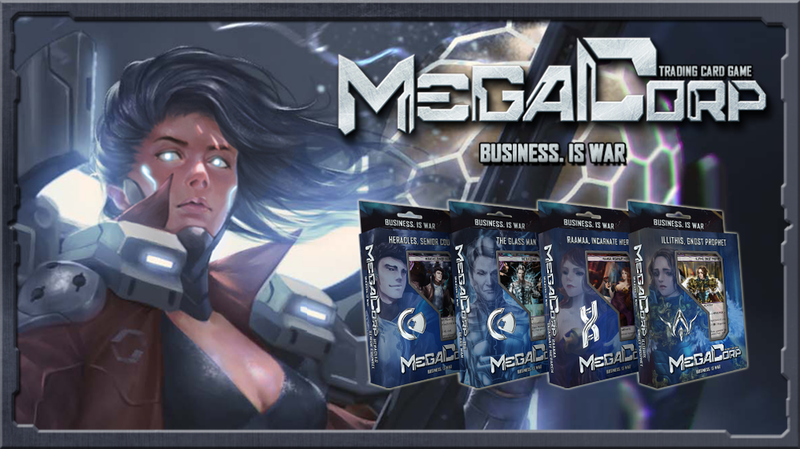 Megacorp is a card game that thrills cyberpunk genre fans with an ingame universe consisting of genetically modified transhumanists, psychic prophets who can move mountains at will and incorporated citizens who buy and sell their very selves on the stock market; a dark realist theme which celebrates the triumph of capitalism taken to the extreme. Governments no longer exist and corporations are the primary actors of human destiny. 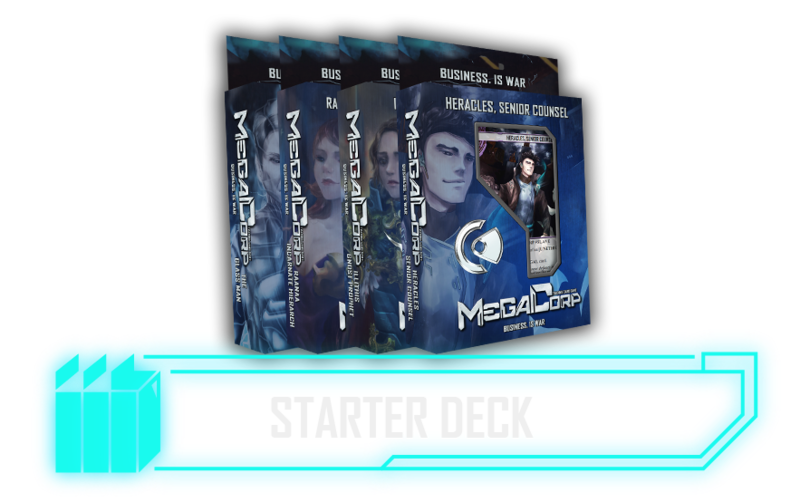 This represents a completely new way to play the Megacorp Trading Card game - almost a rules reboot. While the original ruleset (referred to thereafter as 'Classic' ruleset) is still intact for casual players, the new ruleset was designed to tackle several challenges head on - firstly is the high dependence on the extremely limited starter decks, which rendered booster product difficult to play as a standalone, and secondly the accumulated feedback. While Classic Ruleset was well received by a strong core fanbase, the recruitment of the wider more casual audience proved to be challenging. Megacorp has distributed worldwide. 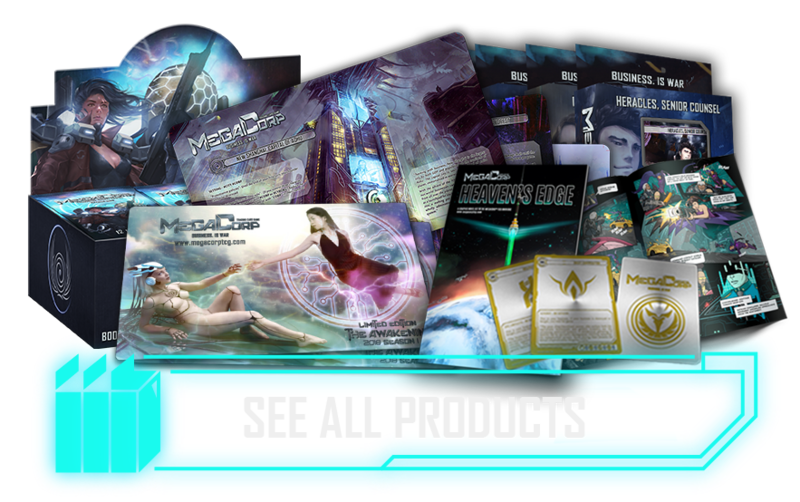 Check out the nearest store from you and get your megacorp products. Join community and meet other player to play your deck, discuss strategy or event trade cards! Keep up informed with our latest news and events. Interested being part of Megacorp? 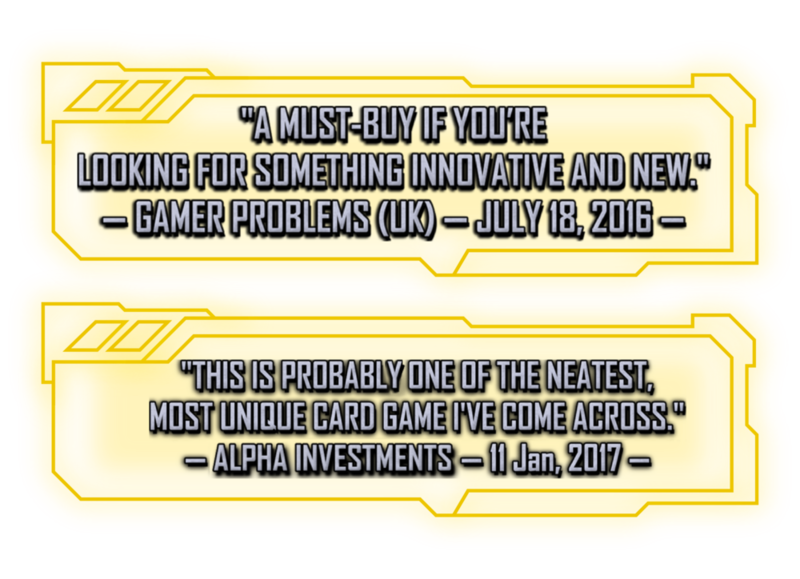 You can be a writer, card creator, community manager, Let us Know! Get involved in development of the game. Suggest your idea and we will try to make it happen.